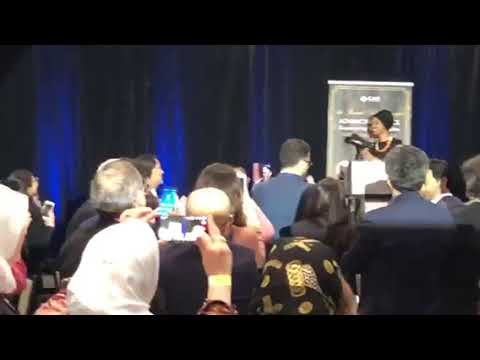 Rep. Omar, who has faced backlash over her antisemitic remarks, was greeted with massive protests as she arrived at the event. “Many people expect our community to feel like it needs to hide every time something happens — but repeatedly we have shown them that we are not to be bullied, we are not to be threatened, we are not to be terrorized. We are strong and resilient and we will always show up to be ourselves because we know we have a right to a dignified existence and a dignified life,” Rep. Omar said to applause. The speech didn’t stay uncontroversial for long, however, as she shifted to a more aggressive position. Rep. Omar turned back to New Zealand, saying that “many of us know this isn’t a one-off incident” and that many Muslims were “holding their breath” and waiting for something like this to happen. She then blamed Trump for the massacre carried out by an Australian man in New Zealand. 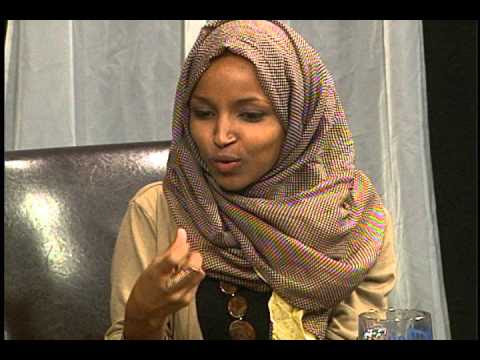 Addressing the ban immigration from terror hot spots, Rep. Omar repeatedly referred to it as a “Muslim ban,” despite the fact that it is not a ban on every, or even most, Muslim nations. She then channeled her inner-Jeb Bush and whispered to the crowd that they can clap, which they obliged. 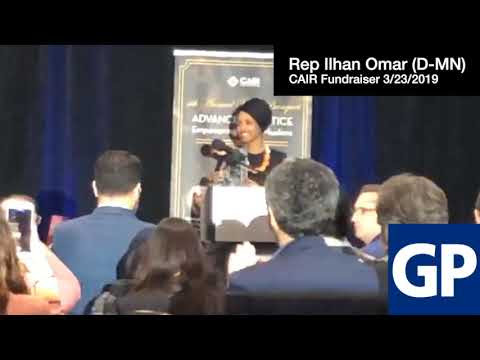 Rep. Omar urged the crowd to confront people if someone looks at them strangely. She explained that people are less hateful once they meet someone. The speech received a standing ovation from the crowd. 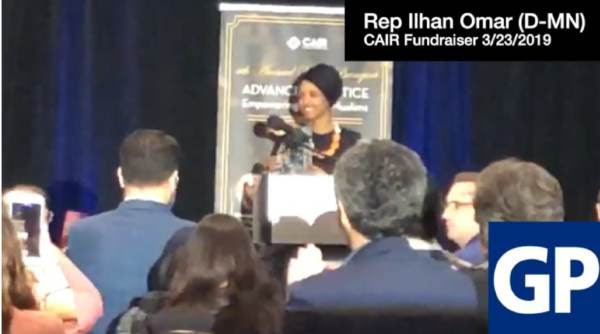 Omar shared the stage at the event with Hassan Shibly, the executive director of CAIR Florida, who believes that Hezbollah and Hamas are not terrorist organizations and despises gay people. CAIR has been named as unindicted co-conspirator in the largest terrorist financing case in U.S. history. Rep. Omar has conveniently called for Immigration and Customs Enforcement — as well as the Department of Homeland Security — to be defunded.